Cryptically creepy and structurally stable blood feeders, nuisance fleas feed on humans and companion animals. 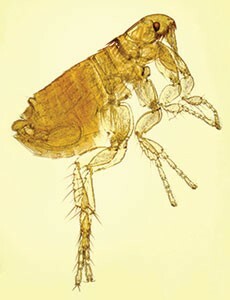 Flea populations reduce indoor habitation quality and pose health risks. With longer warming periods (especially in temperate areas), exceptional urban wildlife fecundity results. Increasing urban wildlife pressures increase cat flea host reservoirs, which increase incidental companion animal flea infestations. Couple a growing trend toward homeopathy and self-treatment of pets by homeowners with increased flea pressure because of climate trends, among other factors, and the potential for explosive structural flea infestations is inevitable. Busy building belligerent burrows, 13-lined ground squirrels emerge in the spring and scurry about in search of food findings and rapid reproduction. As potential omnivores, ground squirrels consume animal organic matter, flowers, greens, roots, seeds, fruits and vegetables, and even each other. 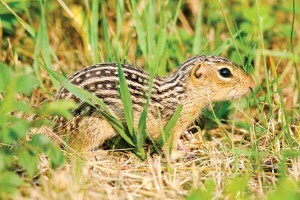 Thirteen-lined ground squirrels invade and damage athletic fields, cemeteries, golf courses, lawns, parks, and other lawn/ornamental sites. Extensive burrowing and gnawing might cause economic damage. Extended warming periods might affect length of hibernation, increase reproductive periods and increase urban pressures. 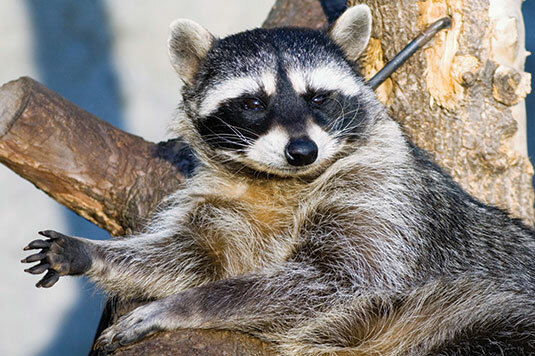 As masked menace carriers of the rabies virus in the United States, raccoons are one of four rabies reservoir-vector species. Raccoon rabies occurs mainly in the Eastern United States. A roundworm parasite can infect raccoons. Humans can become infected after accidentally ingesting or inhaling roundworm eggs passed through raccoon feces. These intelligent, dexterous omnivores take advantage of warming weather patterns and record loss of natural habitats to commercial and residential real estate economic development. Once strictly woodland creatures, raccoon populations are encroaching suburban and urban areas. Combined with established urban scavenger raccoon pressures, wildlife damage and disease are likely to increase. Dr. Stuart Mitchell, D.O., Ph.D., M.P.H., B.C.E., a board-certified physician and entomologist, is principal technical specialist for PestWest Environmental, as well as PMP’s Technical Editor. He can be reached at docmitchell@northcoastmedia.net or 515-333-8923.